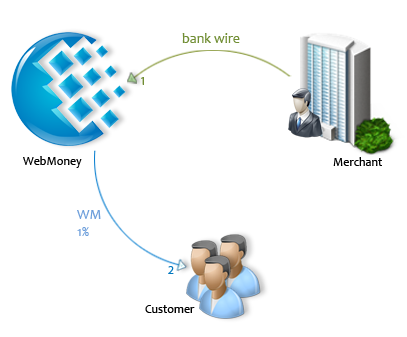 WebMoney Transfer offers various ways for business account users to work with us. This is available for both companies and individual entrepreneurs. 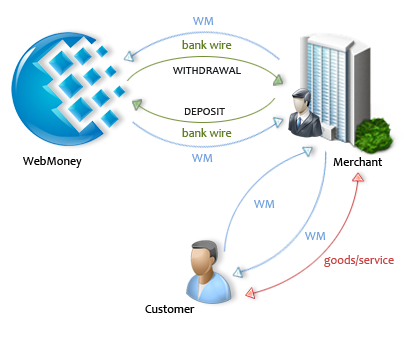 WebMoney Processing is a solution for collecting customer funds. A single back-office automated solution with all transaction logs and other management functionality. Funds withdrawal to your international bank account in USD or EUR on weekly or monthly basis. Commission fee is 1.5-2.5%, depending on your turnover + bank wire fee. You only need to sign an agreement and implement the Payment Processing Interface on your site. You can read more about the service on WebMoney Wiki. WebMoney Settlements is a smart solution for payouts. 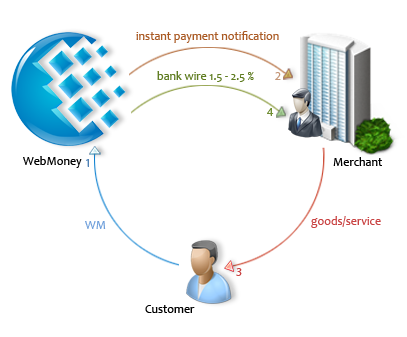 The service is based on an agency model where the merchant entrusts WebMoney to send out customer payments on the merchant's behalf. The merchant is provided with an account from which the authorized payments are sent to clients. Deposits onto this account can be made with a regular wire transfer. Commission is 1% and no more than 1.000 USD/EURO. Transact Automation Tool is a solution for receiving incoming payments and for transferring & paying out WebMoney funds to other users. WebMoney registration is required, so the Transact Automation Tool account may be managed on behalf of the company. The only fee applied is a transaction fee of 0.8% (charged to the sender), but not more than 50 USD/EUR. No integration or maintenance fee. A bank charge of 0.6% is applied to transfer funds from the WebMoney purse to your bank account. All incoming wires are free. * You can also read about the Capitaller service here. The service is intended for companies that need to have ability for shared management of company’s funds and automated distribution of incoming funds. More information about the service here.